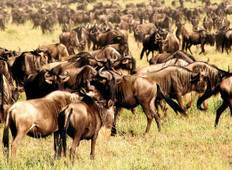 Embark on a Great Migration safari to see the world famous wildebeest and zebra migration in Tarangire National Park. There are 91 tours to choose from, that range in length from 4 days up to 37 days. The most popular month is June.